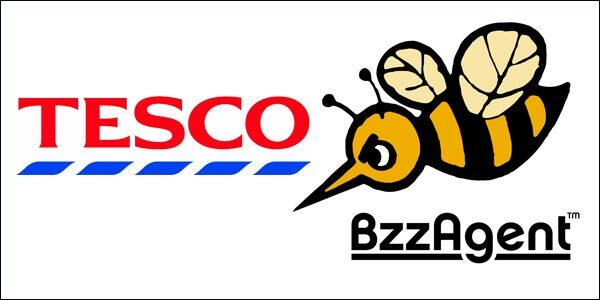 Every Little Helps – Tesco Snap Up Social Marketing Firm BzzAgent For $60 Million. Posted on 28th May 2011 at 13:00. It didn’t take long for Tesco to act on the promises it made earlier last month and step up its social media strategy. New CEO, Philip Clarke, announced in April that the supermarket giant had to step up to the social media plate if it was to combat the stagnant sales figures he inherited from outgoing CEO Sir Terry Leahy. Clarke vowed to expand the company’s marketing drive by utilising the full power of the social media to improve both its in-store and customer relations. Well it seems he really meant what he said: in a move that has rather taken the markets by surprise, Tesco has announced that is has acquired U S social media marketing firm BzzAgent for the princely sum of $60 million. BzzAgent, the Boston-based startup, specialises in creating word-of-mouth campaigns for big companies like Unilever, L’Oreal and Michelin. The company enlists the help of more than 800,000 people in the U.S. to try out certain products, which they can choose to write about and share with their Facebook friends or Twitter followers. The company doesn’t pay any of its consumer volunteers, and they aren’t compelled to say anything about the products they test. The 10-year-old startup raised $13.8 million through a series of funding rounds from VC firms General Catalyst Partners and Flybridge Capital (formerly called IDG Ventures Atlantic). Mr. Balter will report to the head of Tesco’s subsidiary company Dunnhumby and its CEO, Simon Hay. Dunnhumby helps retailers create in-store marketing campaigns and loyalty shopper programs by analyzing data on household buying habits. The U.K.-based company has worked with U.S. companies, such as Procter and Gamble, Coca-Cola and Kroger. In spite of the acquisition, BzzAgent will remain a separate business. It plans to work closely with Dunnhumby to expand its base of consumer volunteers using its large database of household and consumer information. BzzAgent’s 60 full-time employees will be staying on as part of the acquisition. Tesco isn’t the only major retailer to buy into the growing interest in acquiring digitally derived advertising strategies: Walmart paid $300 million for Kosmix earlier this year. Kosmix is a technology that organizes social-media content into categories, be that articles or tweets, YouTube clips or Facebook shared likes. Walmart hoped to take advantage of this technology and utilise all these so-called social signals to better understand its consumers’ sentiments on products as well as their buying habits. Will User Exeperience Design Transform Business Effectiveness And Create Brand Loyalty?Twitter Belatedly Follows Facebook And Introduces Email Notifications.